Meredith Kessler is one of the dominant forces to be reckoned with in the triathlon world. She is a prolific podium finisher, having won every race she has entered this year besides Oceanside 70.3 where she finished 3rd. I had the fortune of meeting Meredith this past offseason and have ridden with her on a few occasions. Besides being a phenomenal athlete, she is genuinely one of the nicest people I have the pleasure of knowing. Meredith has been kind enough to talk with us about her 2014 season thus far and her plans for the future. Fit Endurance: Congratulations on winning Challenge New Albany this past weekend. Looks like that is your 5th win of the season, quite impressive! It also appears this was your first race with the Challenge Family of races, and in front of a home town crowd nonetheless. What did you think about the inaugural Challenge New Albany race and your experience with the race organization? MBK: Thank you so much for taking the time to chat Justin – I really appreciate it greatly! It was a tremendous experience racing in our home town at the inaugural Challenge New Albany. It was a special day having friends and family, who have never had a chance to witness a triathlon event, cheering on the course for all the athletes and getting wrapped up in the spirit of the day. The race director and Challenge did a fantastic job in bringing multiple distance triathlon racing to Columbus, OH and I am sure they will be there for years to come. They really took care of the pros which makes us all want to come back and the age groupers truly enjoyed themselves which translates into a first class race experience. The Midwest humidity hit me hard as expected yet that is par for the course! Fit Endurance: So it looks like you have a bit of a break from racing until 70.3 Worlds in Canada. How do you plan to prepare for this next block of racing? MBK: My coach, Matt Dixon, and I always map out the year at the beginning of the season with the past few years placing more of an emphasis of trying to come into the championship races as close to 100% as possible. However, even the best laid plans take detours during the long triathlon season but we have been happy with how the progression has turned out in 2014. Right now, the focus was on recovery from the two most recent races, Vineman and Challenge New Albany, and now we bear down with some hard work at a training camp in Marin county with Purplepatch and Team Every Man Jack – training partners (and great friends) that I’m fortunate to get to train with every week. The goal is to come into Mt. Tremblant with some hard pockets of training under the belt through August with concentration also on nutrition, hydration, recovery and LIFE. 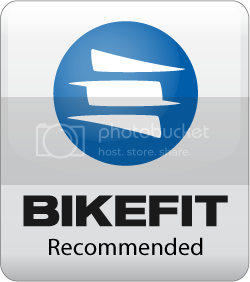 Fit Endurance: You are known for doing a majority of your bike training on the trainer at SHIFT SF where you are an instructor. Tell us about this approach and how others, maybe time crunched age groupers can make it work for them. MBK: When I first went with Matt Dixon and Purplepatch nearly a decade ago, I told him that I would do what it takes to get better and reach goals without sacrificing the balance in my life of family, friends, and work. To be able to achieve this, I had to get more efficient in my training, work and life. One of the main factors in this was being able to get my bike training done indoors which (at the time) avoided the 4-6 hour long bike rides outside. It was about quality over quantity which is so important when time is not on your side as it is in everyone’s life. The bottom line is that age groupers need to evaluate their lives every 6 months, figure out what is important to them, eliminate the pain points, and become more efficient so they can maintain that crucial balance. 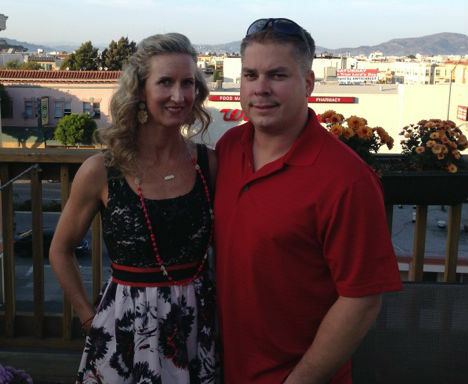 Fit Endurance: You recently celebrated your 6 year anniversary, congratulations! How did you meet Aaron, and how has he influenced your racing as you shifted from working on Wall St to racing as a full-time professional triathlete? MBK: My mom was Aaron’s first grade teacher! I truly think she had him picked out for me way back then! We are high school sweethearts and met when The Columbus Academy shifted from all boys to coed and started dating when he was a junior and I was a freshman. As you can see, we know each other very well, what makes us tick, and what’s important in our lives. He was a three sport athlete in high school and played college baseball at Harvard so we both understand what it takes to participate in athletics at a high level. I am JUST the technician who executes on race day while there is a support team of trusted individuals who are behind the scenes and Aaron is our CEO! Without this network, it would be tough to succeed in triathlon. 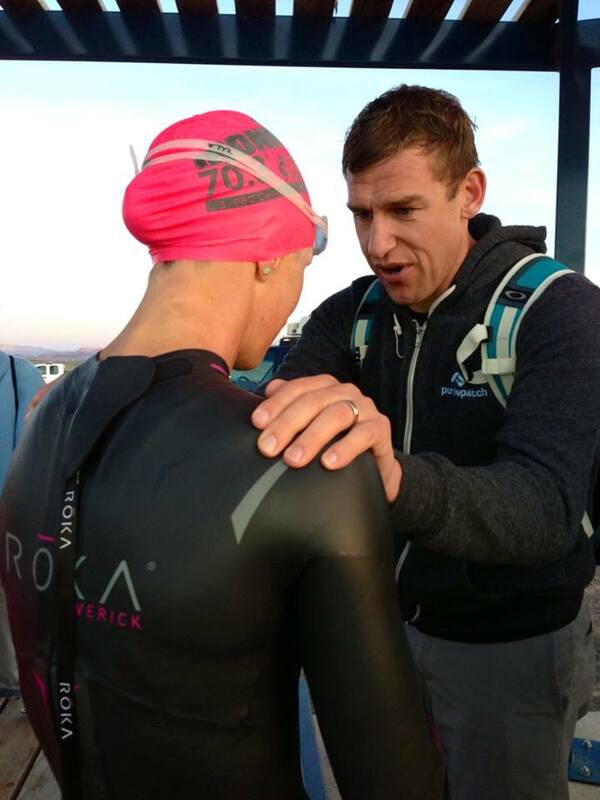 Aaron has brought stability to the business side of racing which is one of the reasons a lot of professional triathletes have trouble reaching their goals. It took us a long time to lay the foundation to be able to leave a secure finance job and be comfortable moving forward in the professional ranks. He was instrumental in helping us make this happen. Fit Endurance: If you could give our readers a single tip to make their triathlon journey more enjoyable, what would it be? MBK: It is vital to look at the race as a celebration of all the dedication one has put into the day. The hard work has been accomplished and if you have put in the proper preparation then you should go into the race with a calm, open and free mind. Muscle memory should take over and one must relish in the moment. You will understandably feel a nervous anticipation before the race. The highs will be high, the lows will be low. Forge ahead , gather your gumption and keep calm and carry on – it will all come together and be worth it when you sprint down the finishing shoot! Fit Endurance: Looks like your newest sponsor is Boardman Bikes. What do you like about this fairly new brand to North America? Any other new sponsor news we should know about? MBK: We take partner relationships very seriously and towards the end of each year, we evaluate all of these relationships and figure out which ones we can improve upon. Once again, professional racing is a business and your coach, support team, and partners are all facets of your business so if one is lagging, you need to make the tough decisions to go elsewhere. We had been speaking with Boardman the past few years because they are recognized as one of the best bikes in the industry with a living legend, Chris Boardman, as the main driver of the company. The stars aligned and we were able to work out a partnership beneficial to us both. In doing so, it is such a luxury to know that we are riding one of the best bikes in the business while being able to showcase the brand to North America. We are continually on the lookout for new partners who will be beneficial to our racing and business. The goal is to work with companies who are innovative in their niche business, would benefit from working with the triathlon community, are cutting edge in their approach, and to some extent, may not be your traditional sponsors associated with the sport. You have to think outside the box to continue to build your brand and fortify lasting relationships. Thanks again so much for your time Justin! I’m wishing you all the best in YOUR training, racing and in your new business – congratulations! 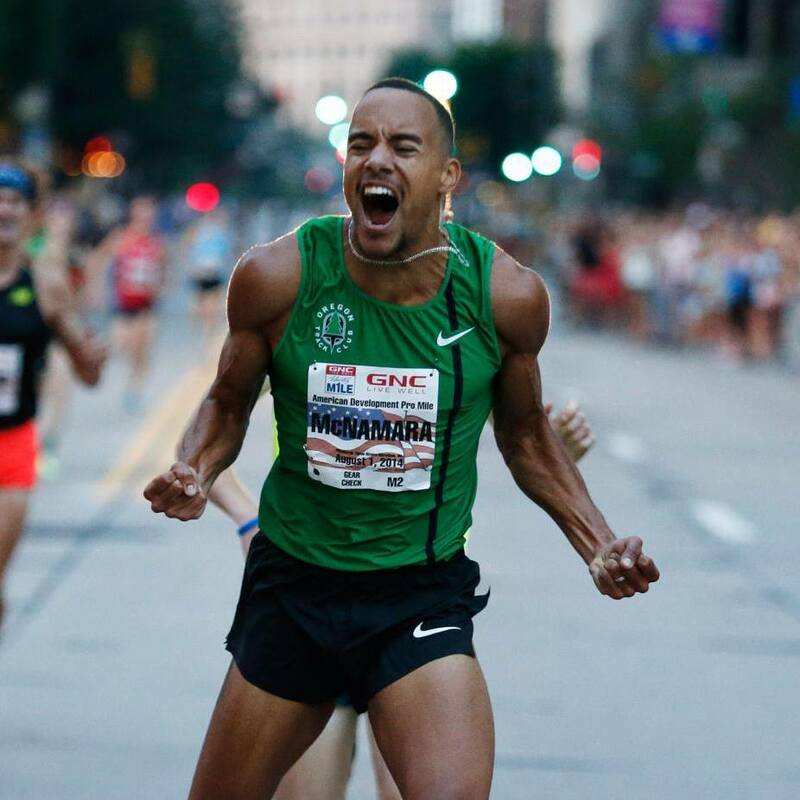 This weekend saw the inaugural Ironman Boulder event, the extreme Norseman triathlon, the Libery Mile in Pittsburgh, a resurgence of sorts for American running at the Beach to Beacon 10k and of course the Commonwealth Games. In it’s inaugural debut, the Ironman Boulder race saw both Justin Daerr and Danielle Kehoe of Colorado become the victors on the day. Not only did they both hail from Colorado, this was also their first Ironman wins as professionals. Justin battled back on the run to catch Sir Richie, and Danielle pushing from beginning to end opened up a massive lead. While the altitude certainly favored the locals, the temperatures hovered in the mid-80s making things difficult for everyone. 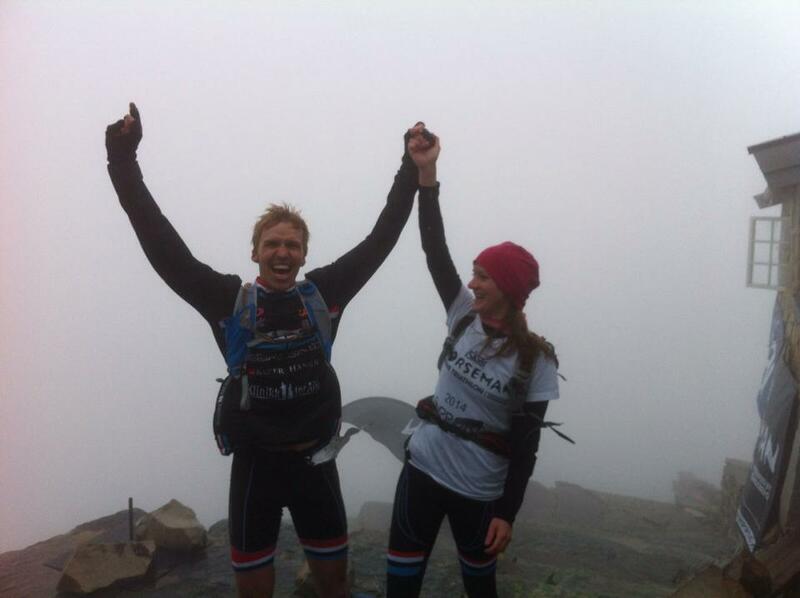 Norseman Extreme finishes the brutal marathon atop a mountain summit! Beach to Beacon, founded in 1998, is one of the most competitive 10k road races in the world. Shalane Flanagan narrowly lost to Gemma Steel. Flanagan was mere inches away from being the first ever American winner.